Jain University Admissions Open Apply Now!! SOA University Admissions Open Apply Now!! VTUEEE Hall Ticket 2019: The VTUEEE 2019 Admit card will be released in the online mode. Vel Tech University will publish the Admit Card on the official website in the 2nd week of January and 2nd week of April 2019. The VTUEEE admit card for both the phases will be released separately for all the candidates who have successfully submitted the application form with correct details. Vel Tech University will be releasing VTUEEE 2019 hall ticket in the online mode. Students will be able to download their VTUEEE 2019 admit card Phase wise. VTUEEE Admit Card 2019: The VTUEEE 2019 will be conducted in two phases and the candidates will be able to download VTUEEE admit card 2019 from the links provided here. The Hall ticket can be downloaded using the VTUEEE application number and date of birth. VTUEEE 2019 phase I admit card will be released in the 2nd week of January whereas VTUEEE Phase II hall ticket will be issued in the 2nd week of April 2019. The admit card will contain important information about the candidate as well as examination details like the exam venue, exam date and time and signature and photograph of the candidate. 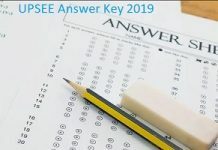 The candidate will be required to carry the VTUEEE 2019 admit card to the exam centre on the day of the exam without which he/she will not be able to take the exam. VTUEE 2019 Exam Dates: Those candidates who are looking for VTUEEE 2019 admit card dates can check the table provided below. 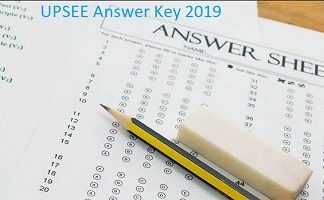 VTUEEE 2019 Admit Card Download: In order to download Vel Tech University Entrance Exam admit card 2019, candidates have to first follow the procedure given below. Go to the official website of Vel tech www.veltechuniv.edu.in. Or click on the link provided here. The admit card page will open on the screen. Now, enter your application number and date of birth. The VTUEEE 2019 admit card will be displayed on the screen. Check all details and download VTUEEE hall ticket. VTUEEE Hall Ticket 2019 Details: Each candidate appearing for the exam and has downloaded VTUEEE hall ticket must check that their card contains below-mentioned details. In case of discrepancy, the candidate must contact the official authority. The VTUEEE admit card 2019 will be available in online mode on the official website. There is no other way of procuring it. Candidates must remember to keep the admit card safely till entire admission procedure is over. The Vel tech Technological University will not be responsible for any kind of loss of VTUEEE 2019 admit card. Admit card will itself act as an identity proof of candidate, therefore students should not forget to carry it to the exam centre. BITSAT 2019 Admit Card Released- Download Here! !